I have some more Gelli print cards today. This first one was made with a couple of gelli prints I did early on when I was working out prints for other projects. 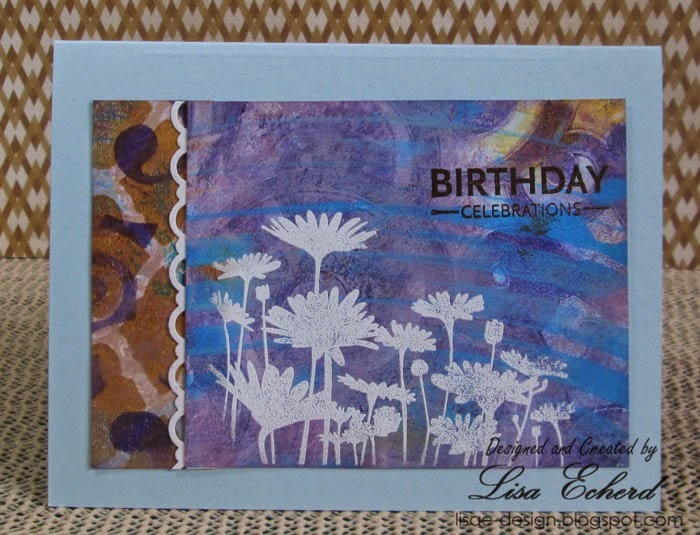 The glue and purple one made a perfect landscape background for Stampin' Up! 's Upsy Daisy image. 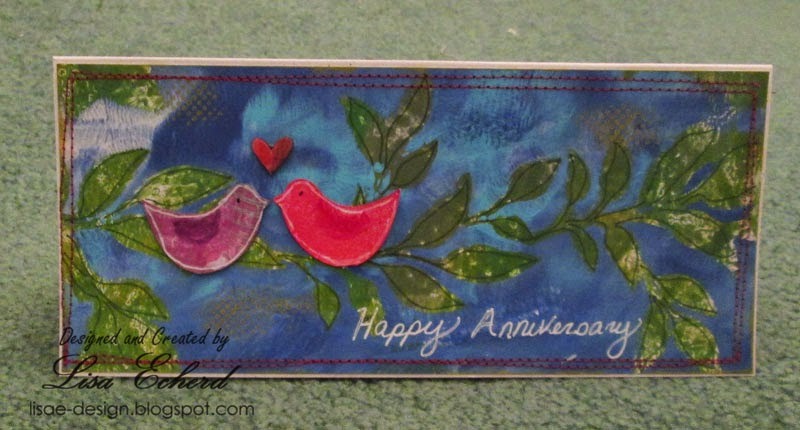 For this anniversary card for friends, I used the Gelli Plate to do the background with leaves cut on the Silhouette. For the first layer, I used shades of green and then did a 2nd layers of blues with the leaf mask in place. The green shows through where the mask was. I added some hand outlining with a green Zig marker as a last minute touch. The first are also Gelli prints cut on the Silhouette. A wood veneer heart finishes and some stitching finish off the casual card. Great cards! You are getting such good use out of your gelli plate ... makes me want one! Oh my gosh what gorgeous and unique creations. Those backgrounds are beautiful. These are so beautiful, Lisa! I love what you've been doing with these gelli plates!